After a long month spent moving house, to say that I am in need of some down time is an understatement. Testing new beauty products has always been one of the ways that I like to unwind, and of course, it's also one of the best excuses to spend a little time taking care of myself. 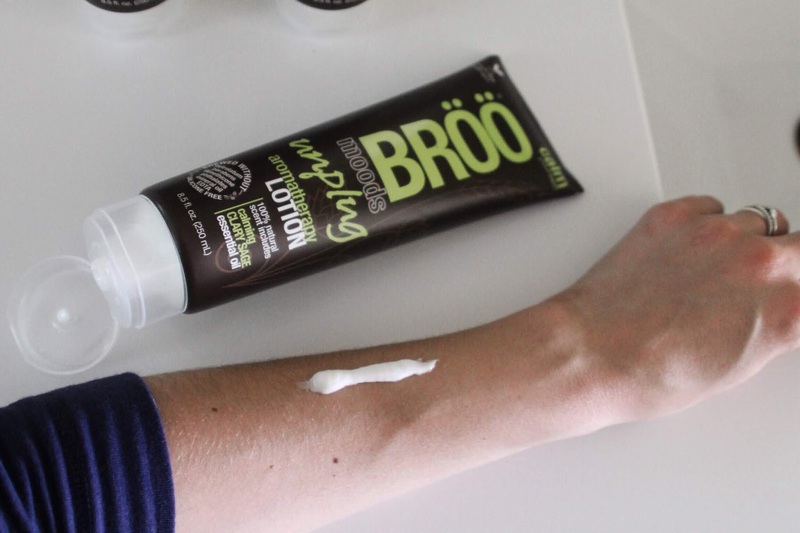 So, when BRÖÖ reached out to see if I'd be interested in testing out their new BRÖÖ Moods Aromatherapy Lotions, I thought it sounded like the perfect opportunity to let go of some stress, and to hopefully discover a new routine staple. Before I get into the details of this new body care favorite, let's just say that those missions were both accomplished. 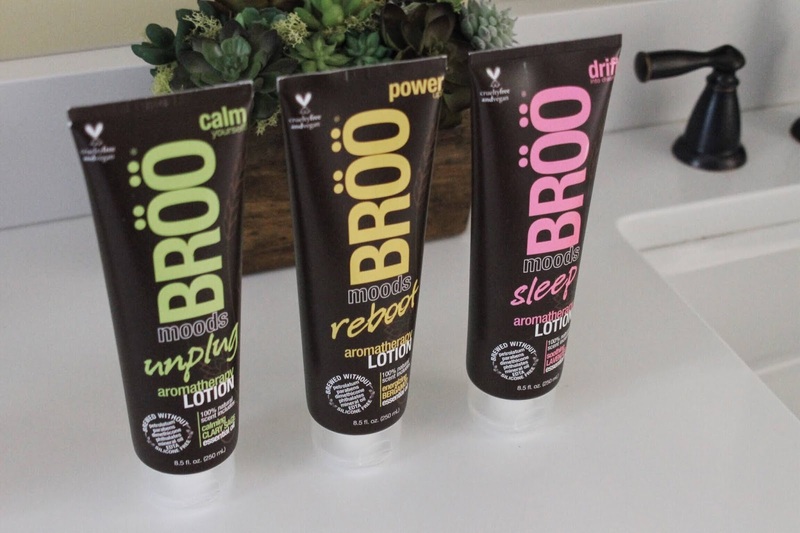 BRÖÖ Moods is a line of aromatherapy lotions that recently launched exclusively at Walmart and Walmart.com, and includes three unique formulas: Sleep, Reboot, and Unplug. I instantly felt a connection to the brand when I found out that they use beer in their haircare products to give volume and shine, which is something my mother used to tell me to do when I wanted to treat my locks. It's safe to say that their body products are equally as clever; the line of body lotions embraces aromatherapy technology to improve the ever-changing moods of millennials' (I know them all too well) and pairs with a meditation app which can be downloaded from the app store. The BRÖÖ app offers a variety of music and sounds that can be used in conjunction with its lotion counterpart, for a fully immersive beauty experience that really pushes you to take time out to breathe a bit everyday. The app is super easy to use, and really sets the mood for your product application. As I mentioned earlier, I enjoy my daily beauty routine and the few moments that it allows me to stop and reflect; so you can imagine my excitement over a product that takes that one step further. Every evening, after my shower, I have been listening to the sound "FX" as I apply my Sleep lotion; and as someone who loves the sound of the rain at night, I have quickly fallen for the gentle rain effect on the app. Try it for yourself...but I will add the disclaimer that you may not be able to keep your eyes open until bedtime. 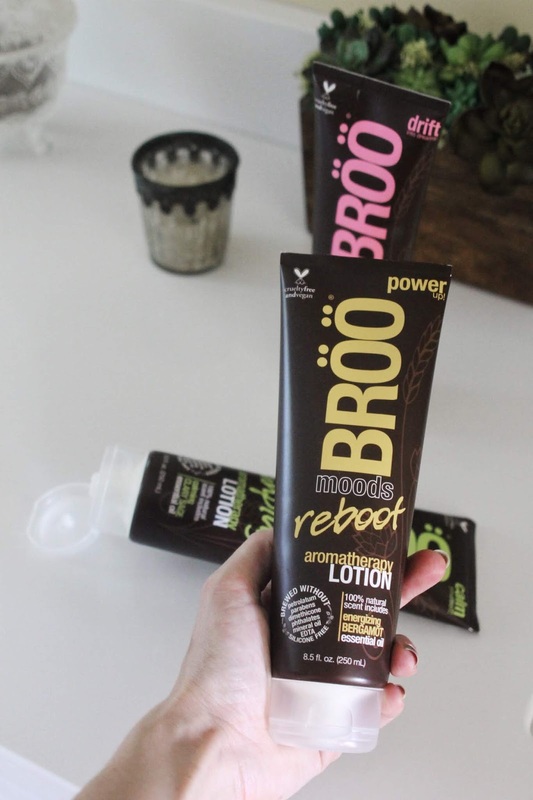 The Reboot Aromatherapy lotion has become my early morning standby; it includes bergamot essential oils that give you a spark of energy which pairs perfectly with your morning cup of coffee. There's also an Unplug Aromatherapy lotion, which I look to on the weekends when I really want to take the time to relax and enjoy my days at a slower pace. 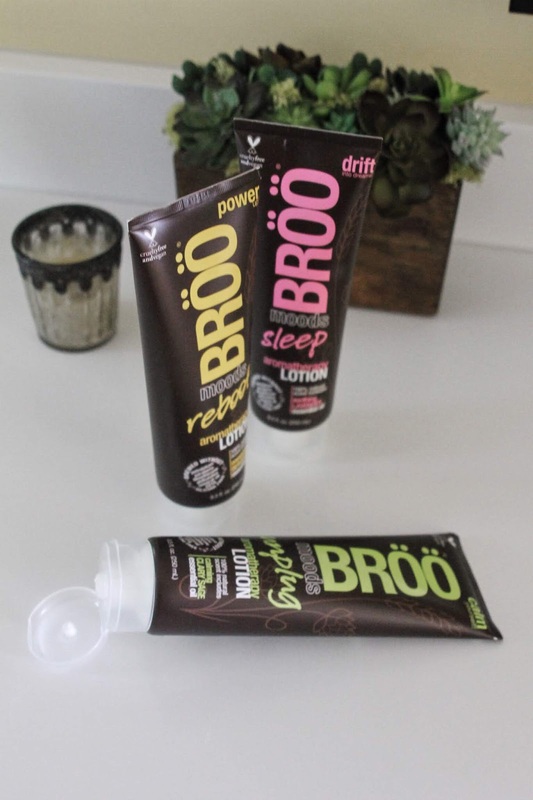 I also really appreciate that all of the BRÖÖ products are all natural and made right here in the U.S.A., meaning they are free of parabens, dyes, phtalates, synthetic fragrances, PEGs, propylene glycol, polyquaterniums and phenoxyethanol. It's really incredible to be able to find an affordable body care product that offers both high quality ingredients and creates a wonderfully luxurious experience. *Thank you to BRÖÖ for sponsoring this post.